I was sent this book by Ambassador International, the publisher that picked up the story from an unknown author and sent it out into the world, to read, review and help get the word out. 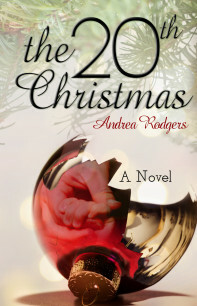 The 20th Christmas story is wonderfully written, with great depth and character development. The terror of child abduction is handled in a way that is heart wrenching, yet the mood of the story does not spiral down toward darkness. The sub-story of how the parents, Arianna and Alan work through the next 2 decades is handled with depth and compassion. I’ve been a little nervous to write this review because this horrible reality is known by too many heart broken parents, people who don’t necessarily have the happy ending this book does tell. But it is a well written novel and there is the opportunity to grieve with the characters and to rejoice with them as well. The beauty of this story is a light in a dark world, hope.